Malta is unlikely to disappoint, with thrilling underwater caves, vibrant reefs teaming with life and some of the most famous wreck sites in the Mediterranean. 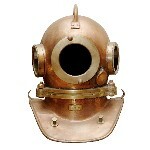 Divers of all levels will enjoy good diving in Malta. Iceland is a land well worth exploring for a number of reasons, and when you consider that it is the only location on earth where you can swim between two continents at the Silfra fissure, it’s clear to see why many divers take the plunge into the icy waters. The phenomenal visibility of 100+ metres alone is exceptional and definitely needs to be seen in order to be believed. Costa Rica is home to top class diving, especially in the region of Cocos Island where shark encounters are almost guaranteed. The Gulf of Papagayo is sure to satisfy even the most-difficult-to-please with plenty of pelagic encounters on offer. 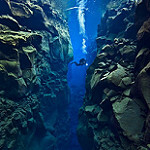 This area is just as beautiful above the water as it is below and is definitely one to add to the diving list. 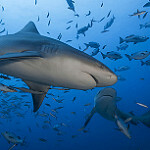 Mexico has something for everyone and boasts a number of unique dive sites along the Caribbean and Pacific coastlines. Many divers enjoy liveaboard trips to Socorro or Island Guadalupe where they come across many of the highly sought after big fish, whilst others choose to explore the reefs and cenotes of the Yucatan Pensinsula. Belize offers world-class diving along 300 kilometres of beautiful coastline. It boasts the longest intact barrier reef in the western hemisphere and over 400 islands. Major highlights include the world-renowned Blue Hole dive site as well as Shark Ray Alley located near the Hol Chan Marine Reserve. 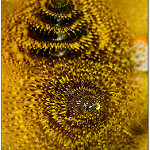 The Solomon Islands are an ideal dive destination for many reasons. The phenomenal underwater landscape is picture perfect, with magnificent corals and plants as well as a huge variety of fish species. There are also some fantastic WWII wrecks nearby. Vanuata offers a host of different dive sites that are best explored by hopping from island to island. Following the strong currents, big pelagics can often be seen swimming in the clear waters. Vanuata is also home to a number of fascinating blue holes, one of the most famous being the Nanda Blue Hole or Jacquie’s Blue Hole. 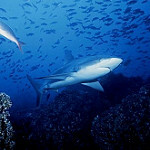 Fiji is a top diving destination with over 330 tropical islands. Named the Soft Coral Capital of the World by the world-famous Jacques Cousteau, Fiji is hugely popular with divers looking to explore these wonderful waters. 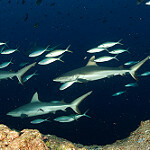 Hawaii, with it’s many islands and well developed tourist infrastructure, has numerous diving opportunities. The Galapagos islands boast some of the best diving spots in the area, especially for large pelagic sightings. 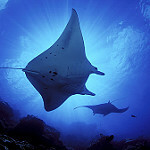 Manta rays, eagle rays, Galapagos sharks and whale sharks are all seen on a regular basis here. Adding to the magnificent underwater scene are giant shoals of fish, loads of hammerheads, fur seals and penguins, not to mention the unique marine iguanas. Papua New Guinea is a land of mystery, unique cultural experiences and an unbelievable underwater scene set right in the heart of the Coral Triangle. It offers some of the best diving in the world and boasts incredible marine biodiversity. 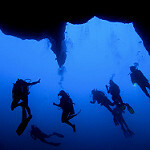 Great diving is available for every level of diver at Yap. With plenty of turtle, manta ray and shark sightings and new sites being discovered on a regular basis, Yap dive sites are also gaining popularity with macro divers who enjoy sightings of pipefish and brightly coloured mandarin fish. With over 60 wrecks from World War Two, Truk Lagoon is certainly a contender for the title of the world’s best wreck diving spot. Some of these vessels now sit at depths of between 30 and 45 metres, but all offer an impressive variety of marine species together with well-preserved and historically-significant wreck sites. Palau is an amazing diving destination that offers some exceptional experiences. Jellyfish Lake is definitely one for the bucket list, where divers can be completely surrounded by hundreds of harmless jellyfish. Underwater caverns, WW2 wrecks and drift dives through the channel are all popular choices, with the latter boasting shark and manta rays sightings. 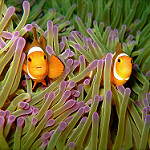 Micronesia is home to an abundance of pristine reefs teaming with underwater life. There are also a number of wrecks in the area that are well worth the trip. The Seychelles offers warm, welcoming waters and a variety of dive sites suited for every diving level. Set in the heart of the Indian Ocean, the chain of islands that make up the Seychelles is unlikely to disappoint and is sure to offer fantastic diving. Many choose to explore the area by boat. Diving in Krabi is great. Despite the absence of the higher quality diving sites found on the northern side of Koh Tao, Koh Samui does have some unspoilt diving sites to explore. There are a few dive sites in Pattaya. there is some good diving in Koh Chang. 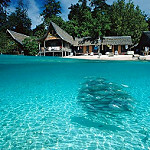 Diving in Pulau Aur is great. Diving in Tenggol Island is good. Diving in Bidong Islands is great. Diving in Redang Island is great. Diving in Pulau Pangkor is great. Diving in Pulau Jarak is great. Diving in Sembilan Islands is great. Diving in Pulau Segantang is great. Diving in Pulau Kaca is great. Diving in Pulau Payar is great. Diving in Pulau Mamutik is great. There is good diving at Pulau Sulug. Diving in Pulau Sapi is good. Diving in Pulau Gaya is great. Diving in Pulau Manukan is great. Some of the best muck diving opportunities can be found on Manado Bay’s iconic black sandy slopes. Critters such as the ghost pipe fish, frog fish and flamboyant cuttlefish can all be seen as well as the lesser spotted mimic octopus and sea horses. 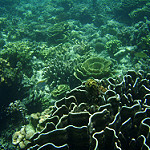 Alor is home to magnificent scenery both above and below the water’s surface. Although currents can be strong, divers are rewarded with incredible underwater diversity including rare and interesting macro life sightings set amongst amazing coral reefs. Diving in Flores is great. Diving in Pulau Weh is great. Diving in Sumatra is great. The well-protected sites located in Horseshoe Bay off of Rinca Island are home to nutrient-dense currents and thus a wonderful variety of marine animals call this area home. 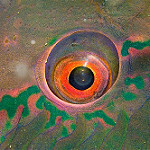 The varied underwater landscape is just as impressive as the underwater life. Diving in Sumba is great. Diving in Sumbawa is great. Diving in Lombok is great. 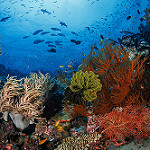 Diving in Java is great. Although fairly secluded and rather difficult to reach, Kalimantan is unlikely to disappoint even the most difficult-to-please diver. With excellent muck diving and drift diving opportunities, the area is also famous for the presence of Kakaban’s jelly fish that doesn’t sting. 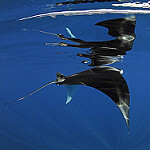 Manta rays and large pelagic fish are regular sightings too. If you’ve always wanted to dive with hammerhead sharks, visiting Cabilao Island between the months of December and June is likely to get that item ticked off your diving bucket list rather quickly. 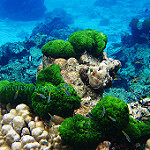 Apo Reef is known for its sheer and beautiful drop-offs as well as great resident marine life. Turtles, groupers and barracuda all call this area home and can often be seen hiding under the overhangs or gliding through the beautiful coral gardens. Located within the Mindoro Strait, divers will also be treated to a multitude of schooling pelagic species.